Ubisoft’s new Rocksmith 2014 Edition may be a game, but it’s also a covert masterpiece in music education that can legitimately teach you to play the guitar and help you improve your skills and technique if you already know how. That’s not to say that Ubisoft isn’t already marketing the game as an educational title. It is, even going so far as to push a 60-day challenge that promises to teach players the guitar if they spend an hour a day with the game for two months. Rocksmith 2014’s real strength lies in its ability to function as a fun game while also incorporating the necessary steps and training to actually learn the instrument. The game requires a real electric guitar, which you’ll need to purchase on your own or pick up in a bundle, and a special USB cable that plugs into the guitar. If you already have the cable from the first version of Rocksmith, you can just pick up the game for Xbox 360, PS3, PC or Mac for $59.99. Otherwise, you can buy the cable and the game for $79.99. Ubisoft has kept much of Rocksmith the same for the 2014 edition, while adding a jam mode and improving latency issues. You’ll still need to be careful with your setup, though, as running your audio through HDMI to speakers could result in a delay. I ended up plugging my Mac into my TV via HDMI and then running optical audio directly from the computer to the receiver. When I learned to play the guitar as a kid, there weren’t any interactive games to teach me how to play. I had a chord book leftover from my dad’s hippy phase, a subscription to a guitar magazine and a dialup Internet connection to find tabs online. I managed to learn on my own, but I lost track of the number of times I almost gave up in frustration along the way. I’ve taught a number of people to play the guitar since then, both professionally and socially, and maintaining motivation has always been the most difficult part of the process. If I take shortcuts and focus on the fun, rewarding lessons, my students stay interested, but they don’t learn the crucial technique needed to move forward. However, if I spend too much time working on technique, they get discouraged and bored and inevitably give up. Rocksmith dynamically adjusts the difficulty of songs as you play so that it can match up to your level. Songs that incorporate new techniques have videos and exercises that carefully teach you what to do. The end result is a flexible learning path that gets right to real music while also adding helpful scoring, challenges and other gamification strategies. Even if you already know how to play guitar, you’ll still have a short learning curve to get familiar with Rocksmith’s interface. Most of it is intuitive, but you’ll also have to get used to which colors represent which strings. You’ll also need to have a bit of patience while Rocksmith learns your abilities. At the early difficulty levels, there are sections of the song with just one or two notes. That works fine for beginners, but it’s quite boring for experienced guitar players. There’s a way to manually set the difficulty level in a scoring mode, but it’s more of a workaround than a feature. Song selection is decent. The catalog covers plenty of different genres and eras, so that there’s something for everyone. If you bought the original game on the same platform as Rocksmith 2014, you can download those songs for a $9.99 “music relicensing fee” and transfer your DLC purchases for free. When I sat in on a Rocksmith 2014 demo at the E3 show earlier this year, Ubisoft spent most of the time highlighting its new Session Mode, which lets you set up a robot backing band to jam with you. You can adjust the key you’re playing in, the tempo and even more granular details like the feel. The new mode is certainly an impressive engineering feat, but I just couldn’t get into it. The AI musicians are meant to interact with you and respond to what you’re playing. The limited time I spent in Session Mode felt too much like most real life jam sessions I’ve been to: everyone just doing their own thing without really listening to each other. The feature is definitely one to watch, and I’ll give it another try as the virtual band gets smarter in future releases. The gaming aspect of Rocksmith takes center stage in the Guitarcade mode, where mini-games are themed and stylized like a classic 1980s arcade games. Some of the games, like one where you play loud or soft to control an endless side-scroller, are too simplistic to be fun, but others actually have some interesting gameplay while still developing essential guitar technique. I did encounter a few issues where chords and notes weren’t being recognized in Guitarcade mode, but it was relatively minor. Rocksmith 2014 is exactly the kind of game that many in the Guitar Hero and Rock Band communities wished for while mastering their fake instruments. Ubisoft has done a great job balancing the game and educational elements to keep things interesting while also helping you learn. 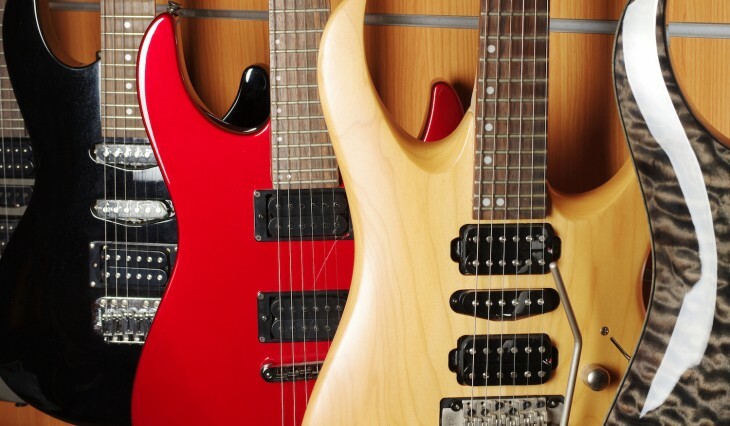 Since you’ll have to spring for a real guitar, it’s not really for casual gamers who just want to play for a few times, but it’s still cheaper than taking guitar lessons. You’d probably learn faster from a guitar teacher, but I doubt it would be this much fun.